This certified organic Dandelion is grown in North America. The roots are harvested at their most potent and are freshly dug prior to manufacture to preserve the beneficial constituents. This gentle and effective herb is valued in many cultures. Classified as a "bitter"; a group of herbs that have been used traditionally to improve appetite and support normal digestion. 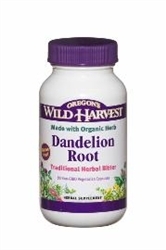 In the folk medicine of many countries, Dandelion root is regarded as a "liver tonic", a substance believed to support the liver in an unspecified way. Preliminary studies do suggest that Dandelion root stimulates the liver to increase bile flow. Once bile is released by the liver, its two main functions are to carry away waste and to break down fats during digestion. It remains to be proven what physiological function this has in the body. 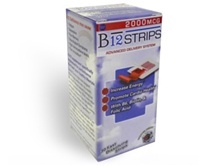 As an herbal supplement, take three capsules daily, or as directed by your health care professional. Precautions: Use with caution if pregnant. Keep out of reach of children. Do not exceed recommended dose unless under the guidance of a health care professional.